This is to inform you that all the pierogi you ate at Tattooed Mom are still alive in your body. 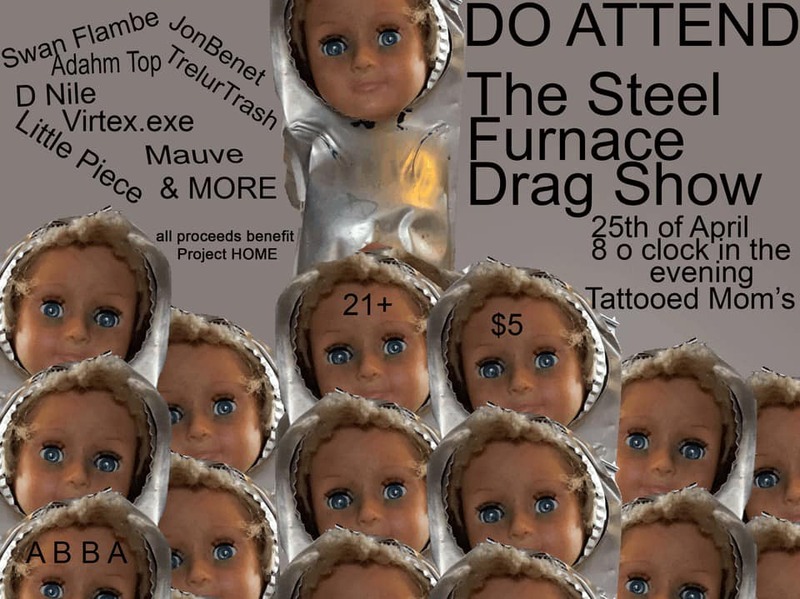 Also, the steel furnace meeting from that letter is being pre-gamed in style with Philadelphia’s hottest art freaks. That’s scheduled is to come to the motherfucking gig. Of course, we will also be raising money for Project HOME. There will b a show at Tattooed Mom on April 25th at 8 o’clock in the evening on the subject of the letter and its many mysteries. What we need is an audience that’s ready for a molten metal odyssey. When it becomes real to you, you can share the event and invite a lot of friends. Join the Facebook Event and Do attend.